LoraSaysSo! 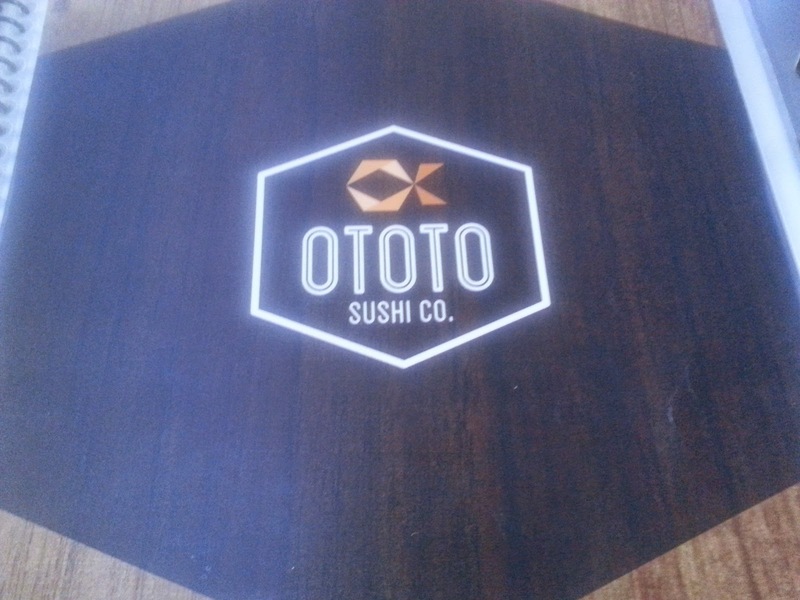 : Ototo Sushi Co.- Food Makes Friends! Ototo Sushi Co.- Food Makes Friends! This place had a wait of 30 minutes on a Thursday night! What the heck? I totally planned for me and my friend, Cynthia, to walk in, try this Japanese joint and then head over to 85C for some dessert! Once I took a look at the menu though, I realized why this place was packed, the sushi is very affordable!! The prices ranged from $3.50- $8.50 even for rolls that would be considered "specialty rolls" elsewhere. For a place that hasn't been opened very long, it seems like they worked out all the kinks. Service was good, and everything looked pretty that was coming out of the kitchen and I noticed good sized rolls and a hamachi collar that passed by too! Some places don't even serve that! They didn't seem to skimp on the fish or garnishes on the rolls and not too much rice either! I don't like it when there's a lot of rice on my sushi rolls. We got seated in a corner table for two which I didn't mind, but Cynthia and I are both about 5'1" so we had to kind of hop onto the chair and her onto the bench. I was swinging my legs like a little kid off and on throughout our dinner. I couldn't help it, I couldn't touch the ground! If you are also vertically challenged, be careful when you come off your seat. Don't want to tumble down now, I almost did! It was that high! For appetizers, we ordered tempura (yummy crunchy shrimp, sweet potato, carrot, and broccolli), kamikaze fries and I got a miso soup that was included with my dinner entree. These were $4 and $3.75. 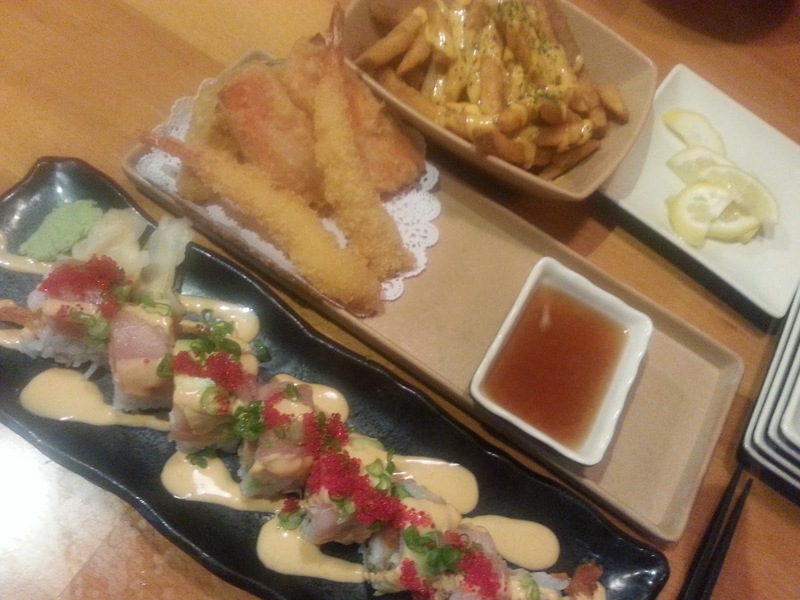 The tempura and fries were pretty good, but its hard to mess up fried food. We also tried the Rincon roll which was tasty and $8. 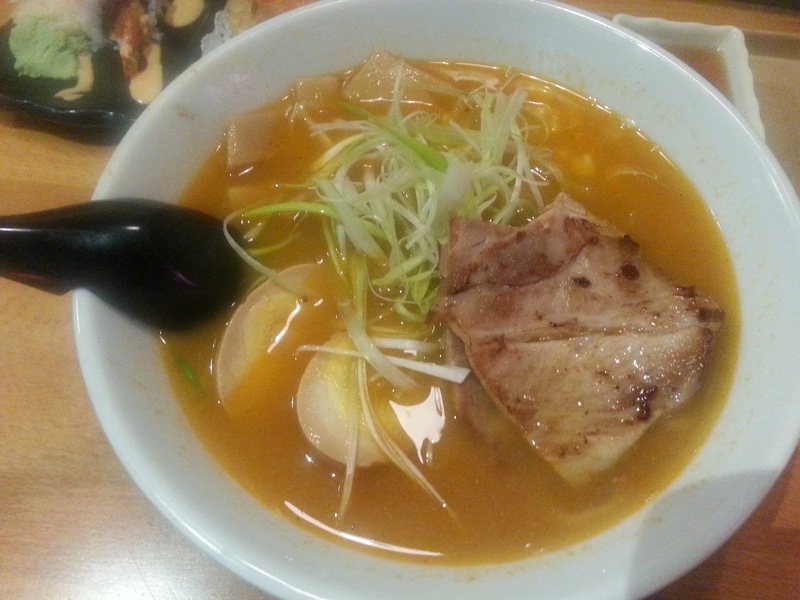 Cynthia ordered the red tonkatsu ramen, $9.50, she said the broth was a little too spicy for her taste but it came with the whole nine - pork slices and a whole egg cut in half floating on top, etc...some place only give you half an egg! This was a huge bowl of noodles too! Point scored! 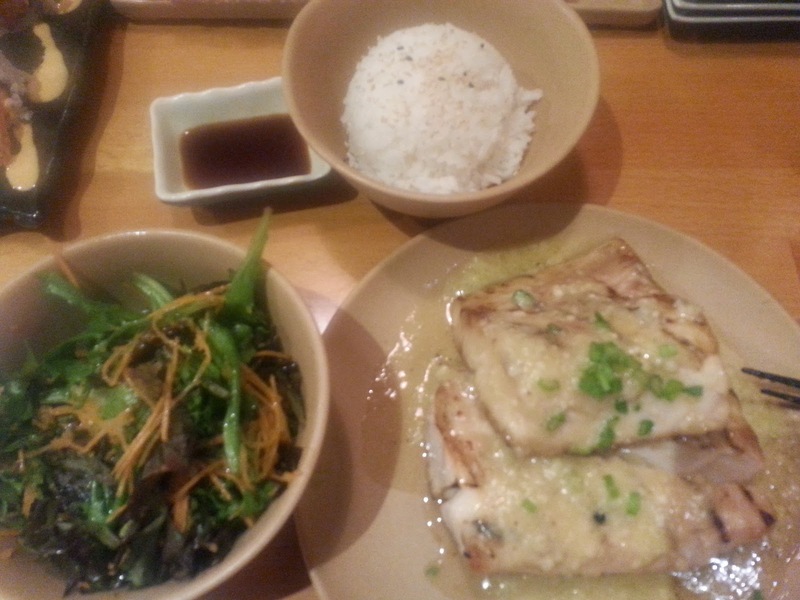 I got the mahi mahi dinner which came with the miso soup, salad, rice, and two and half pieces of the biggest fillets I've ever been served for dinner - for $10! My dessert and drink at 85C across the parking lot I think cost more!! Another point scored! To tell you the truth, Cynthia and I have dinner once a year for our birthdays so I was too engrossed in our conversation to really concentrate on the food. The price of all that food was really unbelievable, so I give that two thumbs up. I'm bringing the hubs next time to savor the sushi, have my son try the ramen (not this spicy one though) and hopefully upgrade my star rating for Ototo Sushi Co.! Oh and the bill comes in these cute little notebooks that you can write comments in and read what others have written, like the chance to automatically yelp when you pay! Tip: Don't wait until after dinner to buy your goodies at 85C, slim pickings by the time we got over there. Put your name on the list for Ototo and then go grab your baked goods while you wait! Mahi Mahi Dinner-they practically gave me the whole fish, maybe two! Five Easy Ways to Keep College Costs Down! 7 Tips for Easy Back to School Mornings! Don't Miss Out on YOUR Birthday Month Freebies!